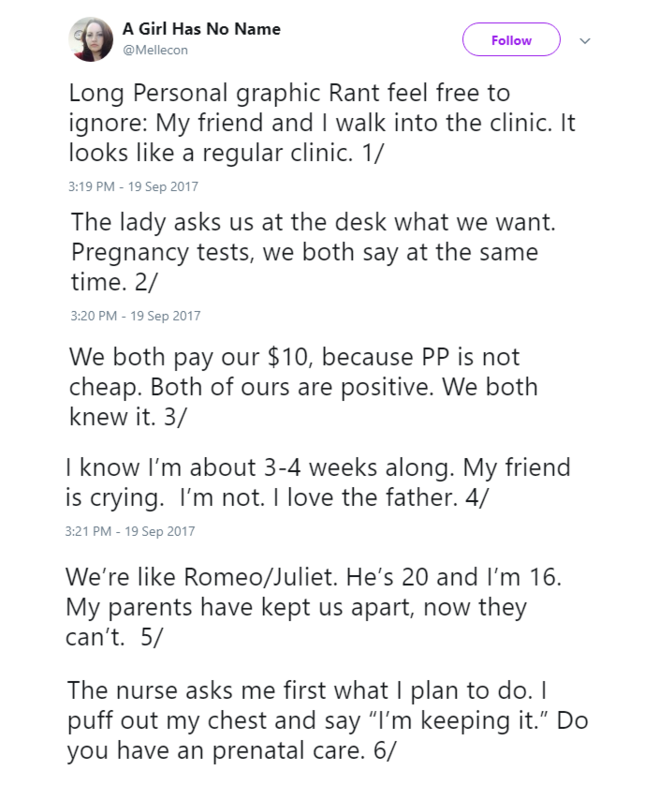 She was pregnant at 16 and had to make a choice. 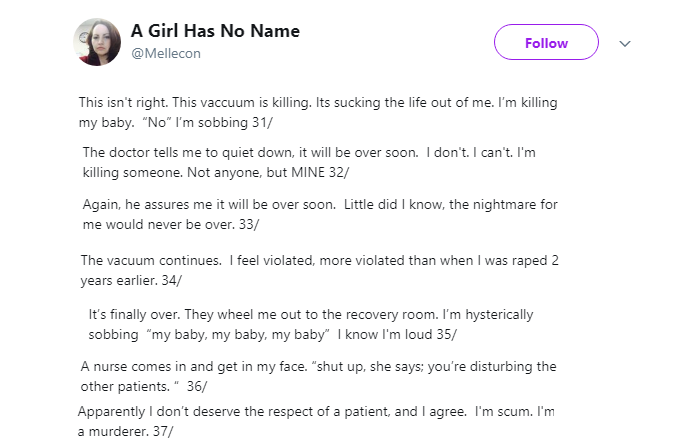 Thank you, @Mellecon for sharing your heartbreaking, visceral story. Your aunt sounds like a lovely, supportive woman. 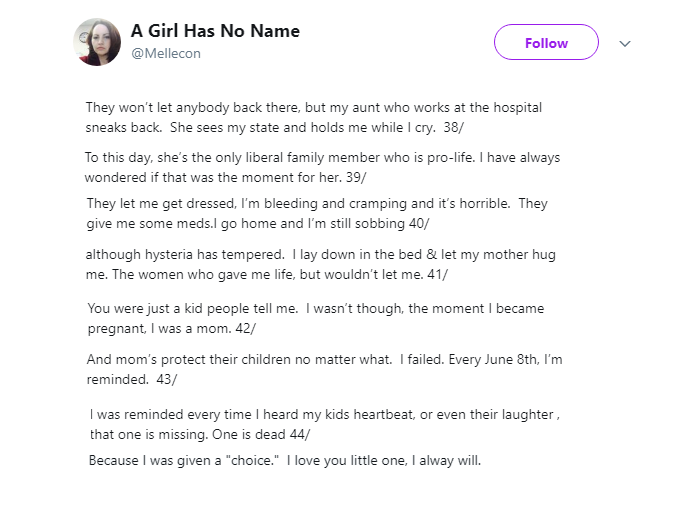 We get so caught up in the lives of the children lost through abortion that we forget the profound impact it has on the women who undergo them. 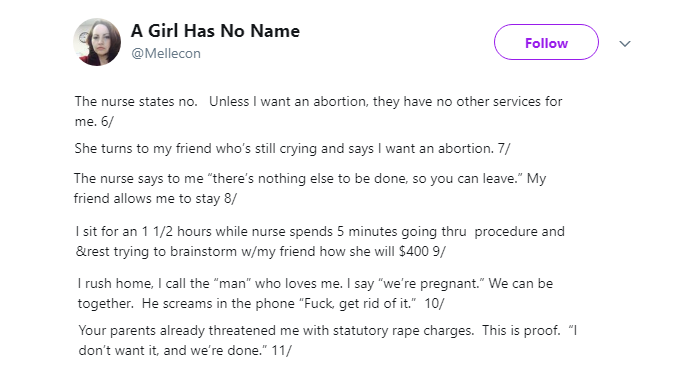 It’s not a small procedure like resetting a broken leg or removing a mole, it’s a mentally and emotionally devastating action that will color every day for the rest of these women’s lives. A few days ago we discussed the recent connection between Planned Parenthood in Missouri and the Satanic Temple. With a woman who went by the name Mary, the Satanic Temple fought on legal grounds that she ought to be able to have an abortion without any of the coaching that comes with it, letting her know that she’s killing her child. 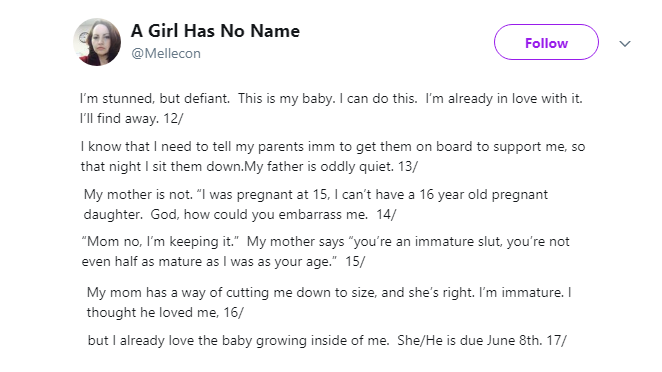 Even worse, the religious reason that “Mary” said that she had to avoid the waiting period or the long distance to travel for the abortion is that her body is “inviolable,” where the child inside of her presumably is overstepping those boundaries. The case fizzled out, because after a time “Mary” was no longer pregnant. We have no information on whether she went for the abortion or whether she gave birth. But still, the Satanic Temple’s challenge helped with Planned Parenthood’s mission. Missouri had just gotten the number of Planned Parenthood centers down to one, but another will be opening up soon. Before that, we brought you a video of former actress Martha Plimpton (The Goonies), who told a cheering crowd about how she would’ve loved to Yelp review her first abortion. Now, she is 46 and unmarried, with no living children, so she is stuck looking for support amidst crowds of cheering women. You will never convince me that she is truly at peace with her decision. 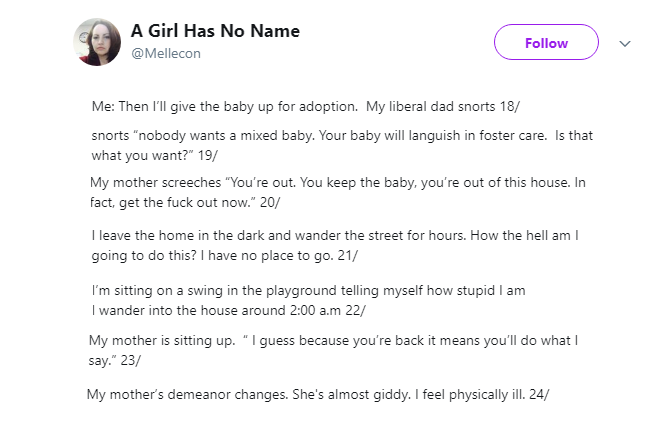 I believe she does the pro-abortion circuit in an attempt to comfort herself. Health care doesn’t mean killing your patient(s). She went on to say that now, her mother works with women who are struggling post-abortion. 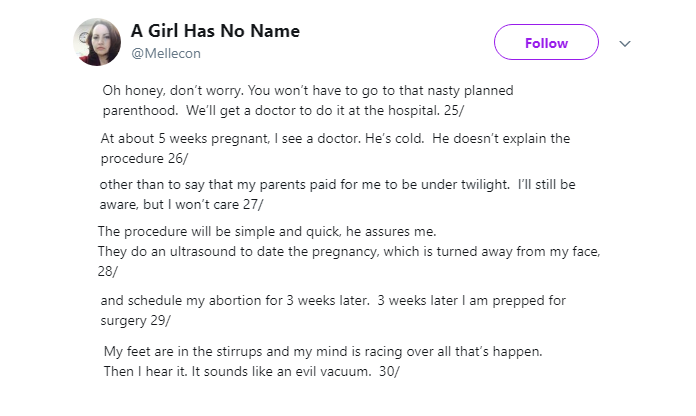 In the next few decades, even if Planned Parenthood loses its influence, these stories will continue to be told and we’ll be exposed to the full emotional, mental and godless evil of abortion on demand as birth control.